Latest interesting podcast from the Robohub team. See more by them here. In this episode, Audrow Nash speaks with Brad Nelson, Professor at ETH Zurich, about his research regarding micro and nano robotics. They discuss many of Nelson’s projects: retinal and heart surgery, crystal harvesting, and robots with simulated flagella for mobility. The video below shows some of the research discussed during the interview. Brad Nelson has been the Professor of Robotics and Intelligent Systems at ETH Zürich since 2002, where his research focuses on microrobotics and nanorobotics. Fundamentally, he is interested in how to make tiny intelligent machines that are millimeters to nanometers in size. 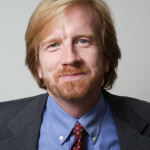 He studied mechanical engineering at the University of Illinois and the University of Minnesota, worked as a computer vision researcher at Honeywell and a software engineer at Motorola, served as a United States Peace Corps Volunteer in Botswana, Africa, and then obtained a Ph.D. in Robotics from Carnegie Mellon University. He was an Assistant Professor at the University of Illinois at Chicago and an Associate Professor at the University of Minnesota before moving to ETH. Audrow Nash: Hi, can you introduce yourself? Brad Nelson: My name is Brad Nelson. I am a professor of robotics and intelligence systems at ETH Zurich. I’ve been there for almost 13 years now. Audrow Nash: Can you give me the big picture goal of your research? Brad Nelson: The focus of our research is micro and nano robotics. We’re trying to understand how to make machines as small as we can and, along the way, we develop fabrication techniques to manufacture them. We look at ways to make them move, we look at applications for them and try to put that all together. We try to move the technology from fundamental research into a spinoff, a clinical application or something we might license to another company. Audrow Nash: Just how small are these machines? Brad Nelson: We work on things that are millimeters down to nanometers in scale. One of the things we’ve worked on for several years now is a device we call an artificial bacterial flagella. It’s about the size of a bacteria, maybe 15 or 20 microns long. You could fit about three billion in a teaspoon. They’re very tiny, you put five of them head to head and they might be about the width of a hair. 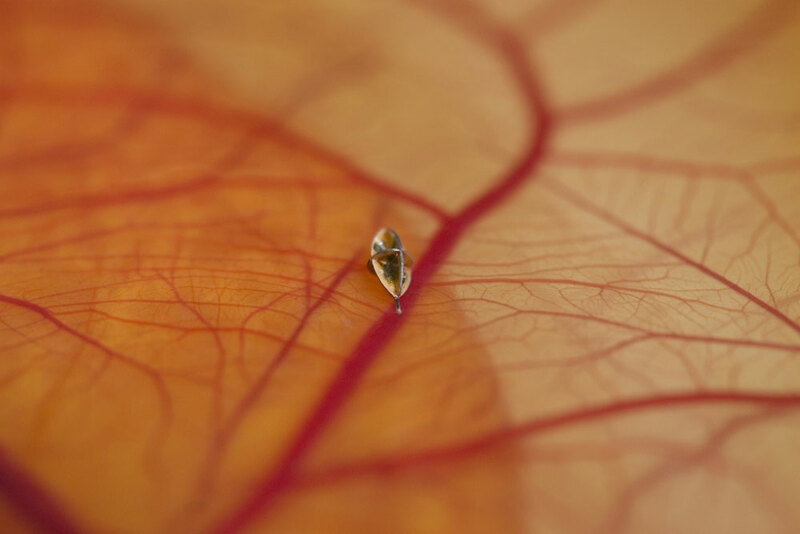 These are the smallest things we can see with optical microscopes. But then we also do a lot of work on nano fabrication with nano wires and nano structures, where you can’t see them, even with optical microscopes, so we need electron microscopes. Some of these structures will go down to 30 nanometers in diameter. And then we have things we put in the eye that are perhaps a millimeter or two long. Audrow Nash: What are some applications of those? Brad Nelson: One thing we’ve been working on has been retinal surgery; ways we can deliver drugs to specific locations on the retina, to target diseases such as age related macular degeneration or diabetic retinopathy. We’ve also realized that some of the technologies are not just for moving micro robots, but can move small catheters and endoscopes that you might want to put into the body. We also work on how we might guide, not just untethered autonomous machines but small endoscopes or catheters, into the heart or the brain. Audrow Nash: Do you see applications outside of the medical field? Brad Nelson: We do. Drug discovery is one. One of the methods for discovering drugs is to first develop models of proteins. In the human DNA, we know the atomic sequence of protein molecules but we still have to understand the structure. In structural biology, one of the main methods used to determine the shape of these tiny little molecules is to isolate proteins and crystallize them – grow them into tiny crystals. We’ve developed some of our micro robotic technology to handle these tiny crystals and to automate the process of retrieving them from the “mother liquor” and place them on a loop. That device is then immediately freeze dried, with the protein crystal on it, and then put into a high-energy x-ray beam. The structural biologist can infer the shape from the x-ray diffraction pattern. It’s a long process but nobody has been able to automate it, up to now, so we think we have a solution there. Lately, we have also been thinking of ways we can use these devices to create a catalytic reaction to treat wastewater. Brad Nelson: To photo catalyze pollutants, for instance, and take toxins that are in the environment and degrade them into harmless substances. The idea is to put micro robots into polluted water, to treat and clean it. There are also sensing applications: we can put micro robots into an environment and look at what chemicals are there, what kinds of substances that we want to get rid of. So we can use them as sensors to monitor the environment. Audrow Nash: To understand this a little bit better I would like to talk about a few of your projects. To begin with, controlling micro robots with five degrees of freedom, can you describe that? Brad Nelson: One of the first challenges we have is how to make small things. There’s micro fabrication technology and we borrow from the semiconductor industry; to make small machines, it’s the same technology as for making computer chips. The second problem is how to make these small machine move: what kind of technologies can you use? Is there some kind of chemical reaction? Can you use lasers to deliver energy? The community has kind of settled, recently, on the use of magnetic fields, so you generate fields externally with electromagnets. Basically, you wrap a wire around some kind of an iron core and, as you generate the electric current around it, you can create weaker and stronger magnetic fields. By changing their strength, we can exert forces that work on these small devices if they’re made of magnetic material. We first started doing this over a decade ago with just two degrees of freedom, making it move on a surface. Then we started working on three degrees, to make things move in the X to Y and Z coordinates and to rotate. Then we turned to five degrees of freedom motion. We realized we were going to need several electromagnets for this. We did a lot of numerical simulations on a computer to understand where the best place to put these magnets was, and the best way to control them. We realized we needed at least eight electromagnets. We built a system we call the OctoMag, so that we can very precisely control the current in each magnet and move small things with it. Audrow Nash: Why do you need eight electromagnets for five degrees of freedom? Brad Nelson: That’s something that we never quite understood until just recently. One of my post docs is working with me on this. Looking at the math, he realized that we can actually prove mathematically that eight is the minimum. We knew people who built systems that only had six magnets and they were having issues. Magnetic fields can generate a force or a torque on something. The torque is like a compass needle on a magnetic field; we always know it’s going to point to the north and align itself with the earth’s magnetic field. Just by taking our field and rotating it, we can get other things – the magnetic particles, structures and micro robots – to rotate too, to align with the field. Forces are a little more complicated because they require a special gradient of the field. The field has to be getting stronger in a direction, so that the micro robot moves in that direction. It’s with this coupling that the math gets a little complicated; you see a dependency between how you generate the gradient and the magnetic field. It means that, although with five degrees you might think you just need five electromagnets, you can’t generate obituary gradients and fields at the same time. You need to add more electromagnets, and the question is: what’s the minimum? For our problem, it happened to be eight. The theoretical results are about to appear online now. It’s fascinating. People have been trying to understand how fields are generated since the 1800s, the 1700s even, and we’re still discovering new things. I think that’s going to help spur us on to new ideas and ways of making small things move, which is really the ultimate goal of what we’re trying to do. Audrow Nash: This technology has gone into your startups. In addition to using small robots for crystallography, can you talk a bit about having a viable business model in research for this? Did you begin the research with a plan to market it? Brad Nelson: I became a professor in 1995, so 20 years ago. My goal then was just to do interesting research, write good, grand proposals to get funding and to publish papers that people wanted to read. I think we’ve been successful in that. Then, along the way, we started to get interested in getting our technologies out into the real world and that is a tremendous challenge. It’s one thing to have a research result to publish and another to actually develop a technology that people want to pay money for and use, and to help improve peoples’ lives in some way. As I’ve developed my research agenda over the past 20 years, I started to think more carefully about potential business plans that might make sense. In biomedical, it’s clear you need to have patents and to be aware of what the patent landscape is. Even now, with some of our Masters projects, we will often go and just look at what patents are out there in this area. If somebody like Siemens or Phillips already has a patent in an area, it can block the technology. It doesn’t make sense to go down a route where somebody has the IP locked up and, even if you do develop the new technology, there’s no chance of getting it out. You start to think in terms of: can you own, or do you have the potential to own, some important intellectual property in the area and develop it. You also consider, as you’re working on things, what potential therapies might this benefit and does it make sense, from a business standpoint, to develop these therapies. Audrow Nash: What do you mean by therapies? Brad Nelson: Well, for instance, one of our startups is called Aeon Scientific. They took our technology and they’re starting to look at some uses for magnetic fields. They looked at a lot of different areas and one thing they realized is that, with the aging population, more and more people need a particular heart procedure to treat a condition called Atrial Fibrillation, where your heart doesn’t beat properly; the electric signals don’t propagate through the heart. Audrow Nash: It’s too fast or too slow or irregular? Brad Nelson: Too fast or too slow or it doesn’t synchronize properly and so electrophysiologists and cardiac surgeons have discovered that, if they do a little therapy within the heart, they can reset it. People see potential to help a lot of people, but that also means potential to make money. It takes a tremendous investment to get this technology into the clinic. To justify that investment, you’ve got to realize a return on it. For that therapy, it makes sense. Another therapy we’ve thought about is bronchoscopy, putting some of these devices into the lungs, particularly in premature infants, and trying to see which portion of their lung might be collapsed. That’s a therapy we’re interested in. The business model isn’t so convincing there; people just don’t project the potential number of cases that would justify the investment. That’s one of the reasons you’ve got funding agencies to enable you to progress further. Audrow Nash: You mean funding agencies that fund research that’s not as in demand? Brad Nelson: They fund research where the business model may not be clear. Although there are benefits, business investors may not find it persuasive, but it’s certainly going to be able to treat patients. We try to balance the two. We’re always trying to weigh up the problems we’re working on, the ones that have the potential to make a big impact. There are a lot of ways to measure this. One of these is the business case. Audrow Nash: Going back to steerable catheter design with Aeon Scientific. So, you insert a catheter and that goes in through the arm or the groin or the neck, correct? Brad Nelson: It goes through the femoral artery, near the groin. It enters the right chamber and then you can move over into the left chamber. You can get into all four chambers with this. Audrow Nash: It has a flexible end that you direct using similar principles to the five degrees of freedom of manipulating small devices? Brad Nelson: Yes, so the end of the catheter – the last few centimeters – is very floppy. At the very end is a permanent magnet. We can control its position and its orientation in the heart very precisely. We use that to deliver radio frequency therapy to ablate, to create this transmural ablation to stop electric signals from passing though certain areas of the heart. Audrow Nash: The permanent magnet that’s at the end of the catheter is much bigger than some of the previous work you’ve done. Does the control of these magnetic robots scale? Brad Nelson: It tends to scale well, although that needs a bit of explanation. Generally, as devices get larger, magnetic fields can scale more favorably. But as they get smaller, it’s different. Magnetic forces and torques are a function of the volume of the magnet. Whenever you have something that depends on volume, as it gets smaller that’s not good, because if something is a cubic meter and then goes down to 10 centimeters, the size is decreased by just a factor of 10, but the volume has gone down by a factor of 1000. You’re getting these incredible decreases in the forces you can generate, so then we have to rethink our strategies. That’s where we’re inspired by nature – bacteria, for instance. We look at why E. coli swim with a rotary motor and use a flagella. Audrow Nash: Describe the flagella a bit. Brad Nelson: When Howard Berg [a professor of physics and molecular and cellular biology at Harvard] was in Colorado in 1973, he discovered that some bacteria, like E. coli and salmonella, have this little flagella. It’s a hair-like structure. People would look at it under a microscope and they couldn’t tell exactly how it moved. What Howard discovered, which surprised a lot of people, was that there was actually a rotary motor on this bacteria. People were astounded by that discovery. It was the first example of rotational motion in nature. Audrow Nash: So it moves forwards in a similar way as a screw into wood? Brad Nelson: Yeah, it’s like a screw, so it rotates this hair, this flagella, into a kind of helix shape, like a coil, and it propels itself that way. There’s a lot of physics, a lot of biology about why this works so well at these scales, that’s fascinating. How did nature evolve this kind of a structure? That’s a wonderful question. We looked at it and realized that we can’t build that motor. It’s about 45 nanometers in diameter and it’s got 30 or 40 parts that are made out of proteins. What we could make, using some recent developments in nanotechnology, is these tiny little screws. Then we realized, if we put little magnets on the screws and rotated that field, we could get them to turn just like the E. coli flagella do. So they started propelling themselves, moving in fluid. That was in about 2007. We were surprised how well it worked and, as we understood the physics and the mathematics in the fabrication issues behind it, it’s been a very thrilling, rewarding area of research. We’re always discovering something new and we’ve recently published a couple of papers. In one of them we’ve put DNA on these structures and we’ve demonstrated that, as we swim them near cells, we can get the cells to take up the DNA and then do gene transfection and express these. The DNA would be coded for a particular florescent protein, so then the cells would express it and we can watch the cells start to light up. It demonstrates that we can target individual cells and do gene transfection with them. In another project we’ve taken 80,000 of these ABF – the Artificial Bacteria of Flagella. We took this huge swam and injected it into the peritoneal cavity of a mouse and we’ve tracked it swimming within it. That paper’s recently come out. Audrow Nash: What applications are there in that? Brad Nelson: What we’re trying to do is demonstrate how we could potentially load some kind of drug on to these, and then target a particular location in the body. We demonstrated that we can load DNA and do transfection, then we demonstrated that we can move swarms of them and target particular locations, in this case in a mouse. Then, eventually, the furthest steps would be putting some kind of a drug that may treat a condition on there, and trying to target some very specific location, maybe a tumor in the body, and getting them to swarm around it and deliver the drug in a very localized area. Audrow Nash: What do you think is the future and timeline of micro and nano robots? Brad Nelson: I really think the field has made tremendous strides in the past 10 to 15 years. There are so many interesting problems and so many results that surprise me. I certainly think that within the next decade we’ll see these devices in clinical trials. If we’re looking at medical applications, the first people we have to get interested in this are the doctors, the people who are really going to use it. They have to understand what the potential is and they have to understand what conditions could be treated with it. They have to get excited about it and be willing to work with us on it. The first thing is you get doctors involved. Doctors have spent some of their valuable time with us on this. It takes tremendous investment and resources to get these things pushed through, to get all the engineering done properly and the FDA regulations, or whatever medical regulations need to be followed. That means you need business people; you need investment, so you need to convince business people too. You’ve got to bring together, not just the engineers and scientists, but also the medical doctors and the business side. That’s what always makes it difficult to predict exactly how long this will take. With the right resources we can move very quickly, but not everybody’s vision is in alliance, initially. I certainly hope and expect that within less than a decade we’ll see applications in the clinics. I think, with this kind of thing, once it gets going, more and more things – things we can’t see right now – will start to emerge. I’m very confident about that.